I’ll be taking Rodin’s Cleansing Powder with me, just in case I feel like washing my face on the plane. Since it’s a powder, I won’t have to worry about liquid restrictions and such. In addition to the cleanser, I’ll be taking African Botanics Intense Skin Repair Balm, Ambuja’s Wanderlust Elixir, Julisis Eyemulsion, Yuli Cocoon Elixir and Slip silk eye mask with me in my carry-on. Yuli is a brand I’ve only recently discovered, and I love everything about it so far. 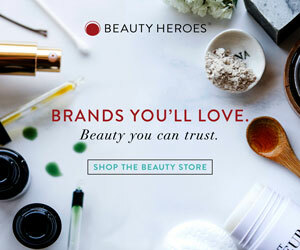 From their founder’s story of developing the brand after suffering from terrible acne to the fact that most of their ingredients are grown on site, they represent everything I’m looking for in an eco-luxe brand. I’d heard wonderful things about their elixirs from a number of bloggers, so I invested in two of their three offerings to see if they lived up to their hype.